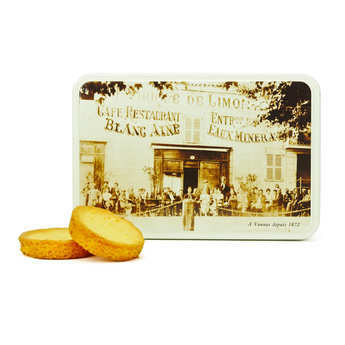 These pure butter "palets" are cooked according to a traditional recipe from Brittany. 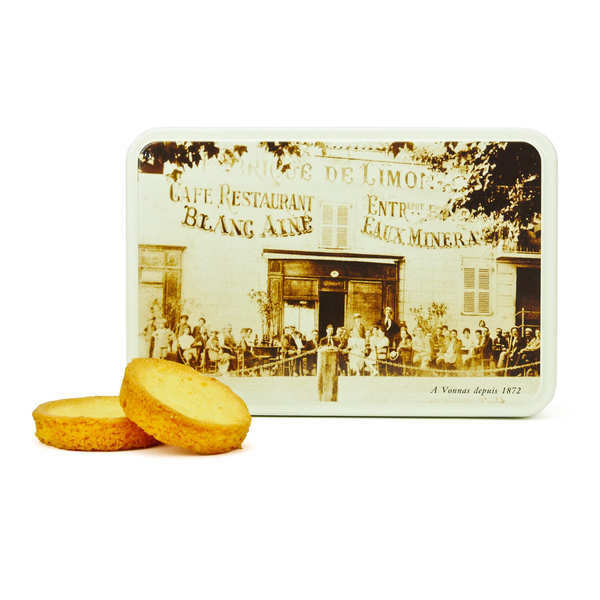 They are presented in an attractive metal tin which makes an ideal gift. wheat flour, butter 25%, sugar, eggs, salt.